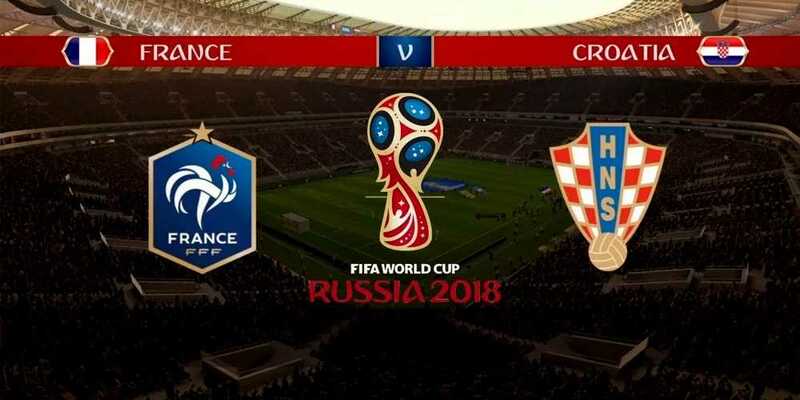 The month-long festival of football will end on Sunday with France and Croatia coming to grips for one last battle here at the Luzhniki Stadium to win the biggest prize in the game. France had entered the tournament as fourth favorites, Croatia as the dark horses; but certainly no one could’ve picked those teams to contest the decisive game. France are competing in a final for the third time in six World Cups while this is the first time Croatia have made it so far. It is by no means a ‘David vs Goliath’ clash, though. The two teams are quite evenly matched and it promises to be a riveting clash. Just that their paths to the final couldn’t have been more different. Croatia blazed through the group stage while France laboured in a slow start. But as France picked up from there on in, Croatia had to battle. They’ve played 120 minutes in each of their last three matches, the equivalent of another match, and survived two nerve-shredding penalty shootouts. France, therefore, hold an advantage. They’ve also had an extra day’s rest; they played their semi-final against Belgium 24 hours earlier before Croatia played England, where the former’s midfield engine Ivan Rakitic played a record-setting 70th game of the season. Croatia will need to go into the game with that excess energy. The last four World Cup finals have all gone beyond regulation time. The last three have been decided in extra-time; the one before that being decided on penalties, which France lost to Italy. Had France won that game, this current crop would’ve been compared to the side of 2006 rather than the one of 1998 that delivered a memorable triumph on home soil, the only one in French history. Croatia’s achievement in reaching the final is remarkable. A nation of just four million people, victory on Sunday will see them become the smallest one to lift football’s ultimate prize after Uruguay, who had a population of 1.7 million when they became world champions in 1950.